I have been meaning to share this. Spending so much time on my blog and looking at WordPress all day, all night, so much so that the WordPress logo image is embedded in my head. And on the road, this image visually appears right in my eyes, today and almost everyday. 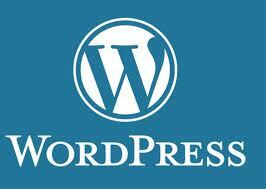 And being a loyal WordPress user, immediately my mind just link it to …..
Blue and White with the letter W = WordPress. This entry was posted in present and tagged postaday, volkswagen, wordpress logo by Little Borneo Girl. Bookmark the permalink.